Cloud computing is something that is being adopted by most of the businesses. But yet there are some myths like is this the right thing to adopt this technology. They do have questions as to whether they have selected the best possible route for their business. It can be a security concern or cost savings the cloud myths primarily serve to impede innovation and distract from the real progress. 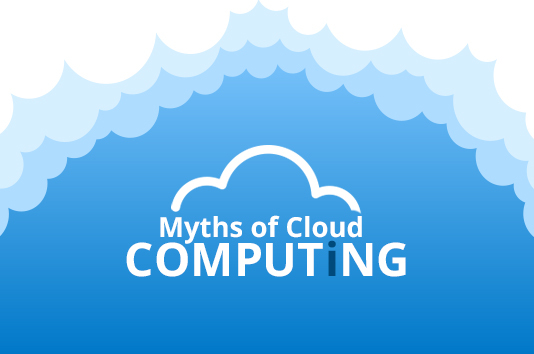 Here are some myths that can be closer to your perception and reality that you are or if you are living in the world of your own cloud assumptions. Take a review and our advice for knowing the truth. Sometimes cloud can save money. But this is not the only reason for migrating. Just to save money most of the companies use the public cloud. Public cloud can be used for cost saving purposes but not for security purposes. Saving money can be a benefit but security cannot be taken for granted. Businesses today are facing rapid changes. The changing tools and services affect the growth and the global expansion of the business. Many business owners feel that they need to take an all or no approach in order to take some benefits for the cloud. This can be true for some businesses but this may not be the same for all. It is a myth that all the businesses need to move everything to cloud to leverage the benefits. Take an example of a hybrid approach which can be a beneficial option when cloud adoption is taken into consideration. This hybrid approach generally ensures that you are investing in the right amount of technology to make the ends meet. One important thing is that there is no one size fit for all solutions. Cloud solutions are here to stay. Most of the mid-sized enterprises have migrated to the least part of the business to the cloud but this cannot be the only way to modernize your business. There are many other technological solutions that will help you in expanding your business in new markets and will eliminate the inefficiencies. Have a complete research as to what can be the best solution as to have a myth buster you need to take an all or nothing approach while selecting your business management solutions. Go with the work that will be best for your business. There is countless number of researches done on whether cloud is a secure technology or not. One of the biggest myths is that cloud technology is not very safe. But as a matter of fact there is very little evidence of cloud security breaks or leaks. Identify the problems in your business and map them in the order of priority so that the IT strategy is aligned in solving these issues. A cloud strategy is the one that can be beneficial and complemented with the existing IT solutions that you have. Most of the cloud based products work well with the existing solutions that you have. The one myth that is followed is that the legacy system is not going to merge with the cloud-based solutions. The cloud gives you access to the data you want and whenever you want. It can be a great opportunity for companies that are looking for expansion in global markets where the employees may be working in different time zones or locations. Even if a data moves to the cloud the business will still own the data and maintain the control over who ever has access to that data. The vendors are merely the ones who provide a platform for delivering the service and have no control over data. This is not true; it’s actually just the opposite of it. There are many solutions that we may want but it cannot be available with the same vendor. It does not work like a company cannot have more than one cloud vendor it’s just that they are not limited to working with just one of them. You actually don’t need to hire someone for deploying your cloud solutions. A cloud technology is deployed for reducing the resources that will help in adding the functionalities to the business. Taking out some time for reviewing your business shows your dedication towards the enterprise. Once you decide to migrate it’s the vendor’s responsibility for migrating your data and deploying it. The main reason for migrating to cloud is free up resources, eliminate the redundancies and enable the lean growth. Cloud computing is something which delivers the IT services immediately as the result has an immediate impact on the business. Technology is advancing and it’s easy to learn them at times. Depending on the solutions that you are selecting training at times can be a part of that cost also. This myth can actually keep your business for transitioning. If this fear is kept at bay the cloud solutions can help in eliminating the dated, slow and inefficient business processes freeing the resources will help you to focus on the growth of your business. It’s not an easy decision that can be taken lightly. But if the myths are put aside and you mainly concentrate on the facts it will give a boost to your business. For deploying the cloud technology take Inspirria Cloudtech as your new cloud innovation partner with decade plus of experience working with 400+ Cloud projects. Push productivity to its optimum level with proven solutions, which is used by the best companies all over the world.